Treatment cost starts from £2, 900 and payments on account are possible. Call us today on 020 7226 0849 for a free, 30-minute consultation to see what we can do for you. Could you have straight teeth in about 120 days? Dr Stephan J van Vuuren is the FIRST dentist in London and the UK to offer this new and exciting technology to straighten your teeth in days. Dr. Stephan presents seminars in FASTBRACES® in the UK, Republic of Ireland, Europe, Scandinavia, Canada, the USA, Africa and India. FASTBRACES® technology is safe, comfortable and very affordable. 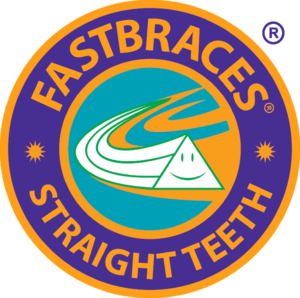 FASTBRACES® is suitable for children and adults alike. Call us today to book your 30-minute FREE CONSULTATION for more information and your first step to a beautiful smile! Tony Viazis (left), the inventor of FASTBRACES®, presenting Stephan van Vuuren (middle) with the Senior Master Provider award in Dallas in 2016. On the right is Evangelos Viazis, who has done some magical work with FASTBRACES® in his practices in Athens. The new and amazing FASTBRACES® Clear™ ceramic bracket that offers the same advantages of moving teeth as the FASTBRACES® metal brackets, with the added benefit of an aesthetic and totally cosmetic solution. FASTBRACES® TURBO™ measures results in days rather than in months… Your treatments can be completed in as little as 90 – 120 days. The fastest and very comfortable way to straighten your teeth – safely. Only available from licensed FASTBRACES® Providers. Not available from specialist orthodontists. Conditions apply and not all cases will qualify. Appearance: Straight, white teeth are more attractive than crooked, yellowed and broken down teeth. Along with the straight teeth comes an improved bite. Various bite problems from overbite to underbite can cause excessive wear of your teeth, possible jaw joint problems and even problems breathing. Crowded teeth, crooked teeth, overjet and overbite can all lead to swollen, red, bleeding gums because it is difficult to brush and floss around them. This leads to next reason to get your teeth straightened. Straight teeth and healthy gums mean you can chew anything you want. Your teeth are less likely to be sensitive to heat or cold and you lower your risk of painful and expensive dental problems. Feel better about yourself: Appearance does matter. Studies have proven over and over again the advantages of an attractive appearance and smile as it relates to job opportunities. The amount of money you make and even the people you attract into your life. Like it or not, your smile is a reflection of you. A longer life may be possible: There are well known studies that prove that people who floss daily will live an extra 7 years longer. Flossing is fun when you have room for the floss and not so fun when your teeth are crooked and crowded. A study done in 2009 and published in the American Journal of Cardiology showed that people with gum disease are 24 -35 percent more likely to suffer coronary artery disease. As mentioned above, straight teeth are easier to keep clean and therefore you are less likely to have gum disease and heart disease too! Preventing your teeth from getting fractured: Protruding (buck) teeth are easily broken from an accidental fall, sports related injury, car accidents and schoolyard brawls. By getting your teeth straight and your protruding teeth back inside your mouth, you will find that you have a better chance of keeping them from injury. Of course, if you do play contact sports, we always recommend a mouth guard to protect your teeth during orthodontics and after they are perfectly straight. *FASTBRACES® Expert refers to a merit status based on the standards set out by the AAO (American Association for Orthodontics) for American orthodontists. A Senior Master Affiliate has completed at least 100 cases to these standards.